The Civil Aviation Authority of Việt Nam (CAA) said it is not considering granting licences for the use of Boeing 737 MAX 8 aircraft in the country after the series was involved in two deadly crashes within five months that left no survivors. Power Centric, a Vietnamese company based in the Saigon High-tech Park, has succeeded in developing a lithium battery technology called Mopo for use in electric bikes. Representatives of Cambodia, Laos and Vietnam have agreed to assign Vietnam to devise an action plan for effectively implementing the Agreement on Trade Promotion and Facilitation in the Cambodia-Laos-Vietnam (CLV) Development Triangle Area, signed in 2016 in Siem Reap town. 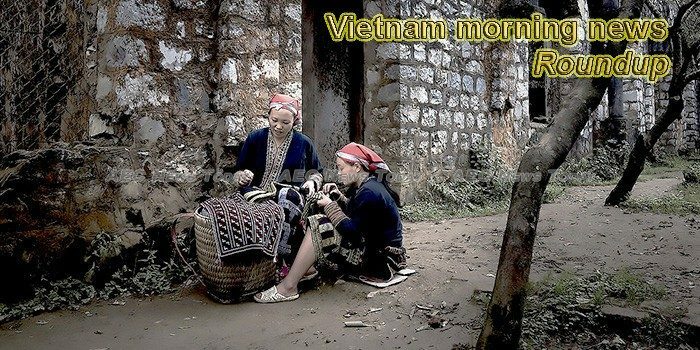 Investment of Vietnamese companies in Laos continues to decline due to lack of capital revolving The special relationship is that Vietnam will invest in Laos soon. Yeah1 Group, the Vietnamese media giant that owns a handful of multi-channel networks (MCN) on YouTube, announced on Monday it had completed a deal to sell a just-acquired MCN, following an incident involving its relation with the Google-owned video-sharing platform. The US-ASEAN Business Council (US-ABC) launched a conference in Ha Noi on Monday with the largest trade delegation ever sent from the US to Viet Nam in the organisation’s 35-year history. Orders for furniture exports have risen strongly so far this year over the same period last year as demand has risen, according to Huỳnh Quang Thanh, chairman and CEO of Bình Dương-based Hiệp Long Fine Furniture Company. Over 50 leading US companies has set foot in the capital city to explore business opportunities in activities organised by the US-ASEAN Business Council (US-ABC). In a rehearsal for a total ban in downtown Hanoi, a pilot motorbike restriction will be enforced on some streets. Tan Son Nhat International Airport was bottom in term of service quality in a 2018 survey for local airports. The government’s Peace Commission has focused on informal talks with armed ethnic groups to move the peace process forward, amid a lack of substantive progress since the National League for Democracy (NLD) came to power in 2016. Minister of Labour, Invalids and Social Affairs Dao Ngoc Dung is attending the 63rd session of the UN Commission on the Status of Women (CSW) – the UN’s largest gathering on gender equality and women’s rights – which began at UN headquarters in New York on March 11. A conference was held in Toronto, Canada on March 11 to help Canadian small-and-medium-sized enterprises (SMEs) study the Vietnamese market with the Comprehensive and Progressive Agreement for Trans-Pacific Partnership (CPTPP) effective. The State Bank of Vietnam (SBV) set the daily reference exchange rate on March 12 at 22,949 VND per USD, down 1 VND from the previous day. Deputy Prime Minister Vương Đình Huệ has urged relevant ministries, localities and sectors to hasten the disbursement of public investment capital. Prime Minister Nguyen Xuan Phuc recently decided to establish the State Council to review the feasibility report for the first stage of the Long Thanh international airport construction project.